We are all familiar with the need to engage in water conservation, but did you know there are specific ways your landscape can help you save water? The Environmental Protection Agency recently released a guide to Smart-Water Landscapes. It has some great suggestions that every homeowner should be aware of. When designing your new landscape or considering a redo of your existing one, you should start with the EPA’s WaterSense Water Budget Tool. With just your zip code and yard size it will let you know if you have designed a landscape that will use the right amount of water for your climate. When selecting plants for your landscape it’s always smart to consider low water-using, native plants. These are plants that thrive in your region and require very little water or maintenance as they are conditioned to grow with water that is already provided through annual rainfall. As you are considering additional plantings look at the water needs of different types of plants and the site conditions. For instance, one part of your property may have sandy soil, while the other part has very fertile topsoil. 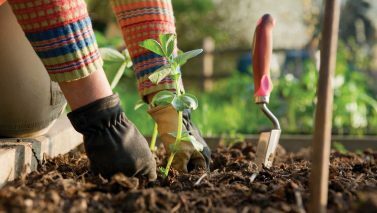 Exposure to the elements such as sun and wind will be a determining factor for types of plantings. If you are planning to have a rainwater runoff plan to a water feature in your landscape, consider plants in this area that love and thrive near the water. A rain garden may be a good option here. Likewise group plants that require less water away from areas of your landscape where water tends to pool and collect. This will help ensure their roots don’t become susceptible to rot and disease. Consider how you intend to water your landscape. Some plants love a misting every morning, whereas other plants will develop diseases if their leaves and or stems come into contact with too much water. 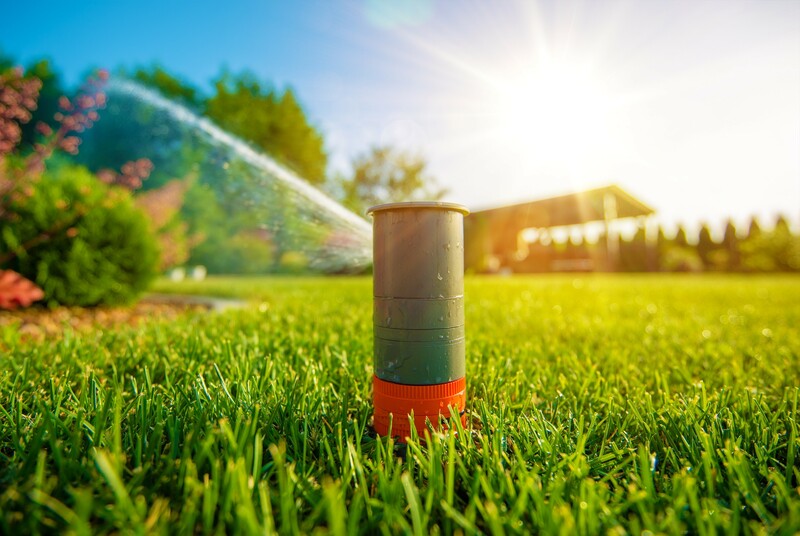 The main types of irrigation nozzles are drip lines, spray heads, and traditional sprinkler heads for large green spaces. Plan accordingly so your plants get just what they need. When programming irrigation systems, consider segmenting these groupings into “hydrozones” to target specific watering needs. This may seem like a basic landscape element, but how and where you decide to place areas of grass greatly impacts your smart-water plan. Your grass elements of your lawn will consume the highest percentage of irrigation water in traditional landscaping. Other landscaping plants such as ground-covers, shrubs, and trees consumer considerably less water than traditional grass lawns. In the quest to have that ever green landscape, homeowners have a strong tendency to overwater grass landscapes. If you live in an area that receives a decent amount of annual rain large amounts of grass areas may be fine, but if you live in an area where it seems that constant watering is needed during the summer to keep the lawn green, you may want to consider limiting grass landscapes to specific functional patches such as a play area. Another way you can help your grass landscape thrive while avoiding excess water usage is to avoid steep slopes and hills in your landscape. Slopes can increase the potential for erosion and runoff preventing the water from penetrating fully into the soil requiring more water to get that green landscape. If you just can’t avoid slopes in your landscape design, consider installing plants with deeper root zones such as native ground covers to provide stability in these areas and prevent erosion. Over time soil can become compacted, especially during stages of home construction or even normal foot traffic. It’s important to aerate your soil with a simple lawn aerator to provide air to the roots allowing them increase uptake of water. Improving the water flow to your plants’ root zone and reducing runoff can have a significant impact on how you use water. Another soil enhancing consideration is the use of mulch around shrubs and garden plants especially over drip hoses. The mulch will help reduce evaporation, inhibit weed growth, moderate the soil temperature and prevent erosion. It’s important to leave a few inches of space between trunks and woody plants and organic mulches to avoid rot. Check out our tips on landscape mulch from last fall. Consider grasscycling, yes it’s a thing! 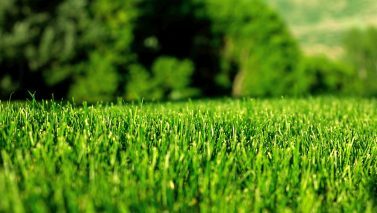 Your grass clippings are packed with valuable nutrients that can help feed your lawn. Use a mulching lawnmower blade to finely chop up your grass clippings and let them settle into your turf. They will quickly decompose giving your grass lots of nutrients and reduce the need for nitrogen fertilizers. 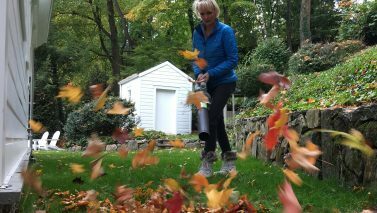 Since green and brown bio-matter complement each other use your mulching lawnmower to mow right over fallen leaves in the fall – a win/win since it also cuts down expensive fall leaf clean up costs. Finally we get to yard maintenance. Basic maintenance practices such as raising your lawn mower blade when mowing, especially in the summer can promote smart-water use. The right height is approximately 1½ inches. When you mow too closely to the ground the sun tends to burn the grass. It also promotes water thirsty new growth that requires extra watering and allows the soil to dry out quicker on hot summer days. When you allow your grass to grow a bit longer it promotes deeper root growth and a more drought resistant lawn. Look up the optimal growth height for the type of grass you have in your landscape and always maintain it to this height. Other annual maintenance considerations should include replacement of mulch around shrubs and garden plants, and removal of weeds. You should always thatch the lawn in the fall to loosen and remove dead patches to make way for renewed, healthy growth. Fertilizer when used incorrectly is not only bad for the environment but also result in landscapes that consume more water. Consider natural fertilizer alternatives, specifically ones that are labeled “natural organic” and “slow release”. Even better, seek to eliminate fertilizer all-together where possible. We hope these tips help you conserve water this year and create a more sustainable landscape. We’d love to see what you do so feel free to share your landscapes with us in the comments below or on our social channels tagging your pictures with #SNHSmartWater.